monday was national vodka day + in honor of the holiday, i’m sharing one of my favorite vodka coctktails with you – lemon basil martinis. for those who don’t drink alcohol, i’ve also included the recipe for a tasty + refreshing basil lemonade. 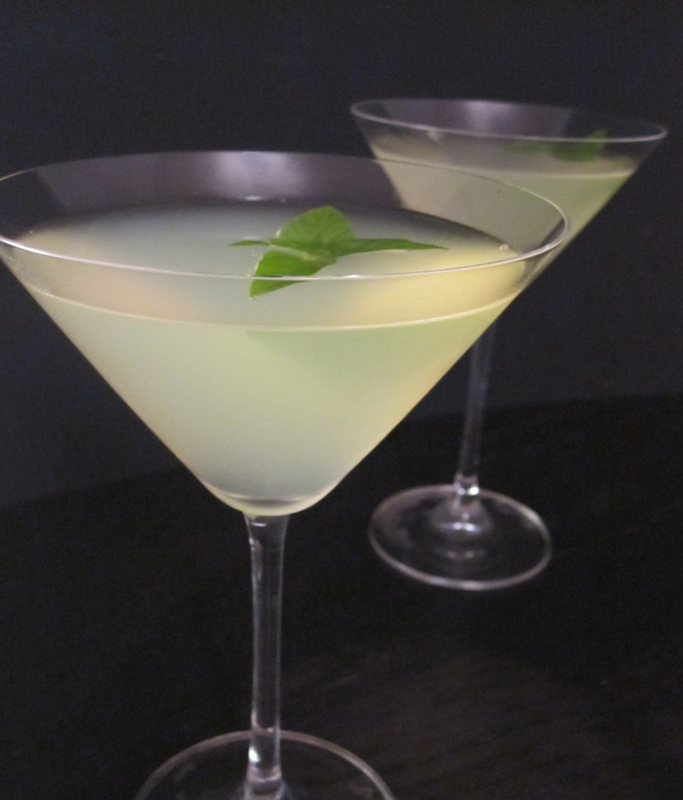 both drinks are made using basil lemon syrup, which is easy + quick to prepare + if you grow basil in your yard (as i do), also inexpensive to put together. these martinis are ideal for warm weather patio-sitting, + perhaps not coincidentally, this weekend’s forecast in nashville calls for sunny skies + temperatures in the high 70s. their flavor is part sweet, part tangy, super clean + refreshing. the clean sharpness perfectly compliments a steak or burger, as it cuts down on the heaviness of the red meat. whip up a batch of these addictive martinis, fire up the grill for an outdoor lunch, + devote some time to relaxing outside, martini in one hand, burger in the other. cheers! bring all ingredients to a boil in a medium saucepan, stirring until sugar is dissolved. let stand at room temperature, covered, 1 hour. then transfer to an airtight container + chill until cold, about 1 hour. strain syrup through a sieve into a bowl, pressing firmly on solids, then discard solids. syrup keeps, covered and chilled, 5 days. 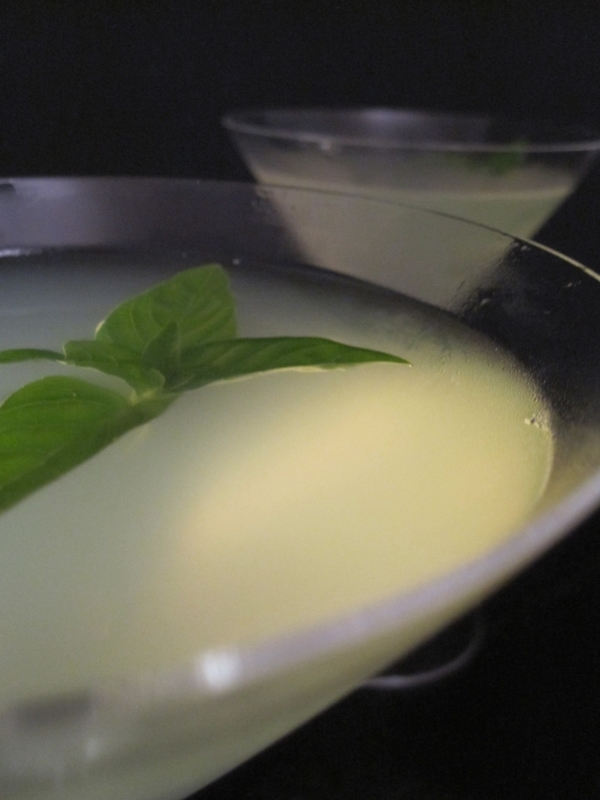 for basil lemonade, use 2 parts lemonade to 1 part basil lemon syrup. 4 cups of lemonade + 2 cups of the basil lemonade syrup will make enough basil lemonade for 4-6 people. for basil lemon martinis, use 1.5 parts vodka to 1 part basil lemon syrup (alter that ratio if you prefer a stronger or weaker martini). shake in a martini shaker with ice + strain into a chilled martini glass (sugared rim optional). I’m not sure how these don’t have a comment since they look quite tasty! I have a feeling I would love this martini. ha! it was because it was only my third blog post ever. =) i’m planning on re-posting some of the great recipes from early on again in the future so more eyes can see ’em. + thank you – you are too sweet!